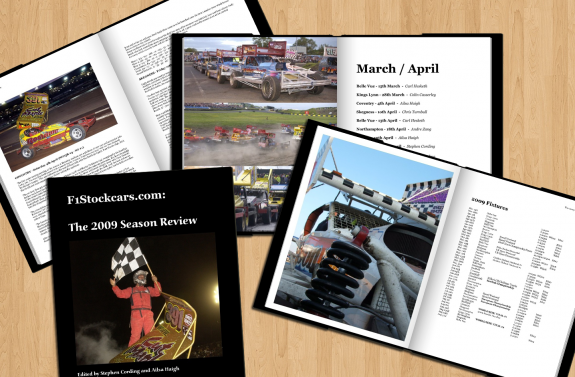 The 2009 BriSCA Formula One Season brought together in 160 Premium Quality pages. The majority of the photo’s are previously unseen. 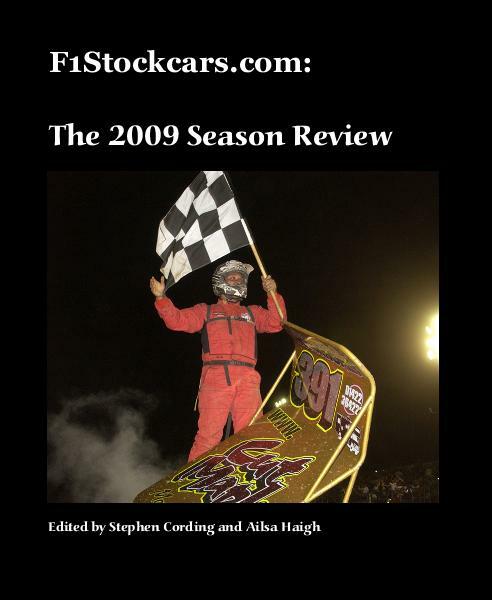 This is truly the definitive year book to what was an epic year of Stockcar racing for the BriSCA Formula One stockcars recorded through the eyes of Ailsa Haigh, Andre Zang, Carl Hesketh, Chris Turnbull, Dave Goddard, Jeroen Janssen, Rob Every and Stephen Cording. The Lenses of Colin Casserley, Paul Tully (and Stephen Cording). Along with the Results, Points and Tables by Nigel Anderson, Ailsa Haigh and Carl Hesketh. It can be purchased in either a Softcover or Hardcover with optional Dust Jacket or ‘ImageWrap’ styles, at three different price points. Order your copy today HERE where you can also view a 15 page ‘preview’.